278 pages | 53 B/W Illus. This addition to the Cognitive Science and Second Language Acquisition series presents a comprehensive review of the latest research findings on sentence processing in second language acquisition. 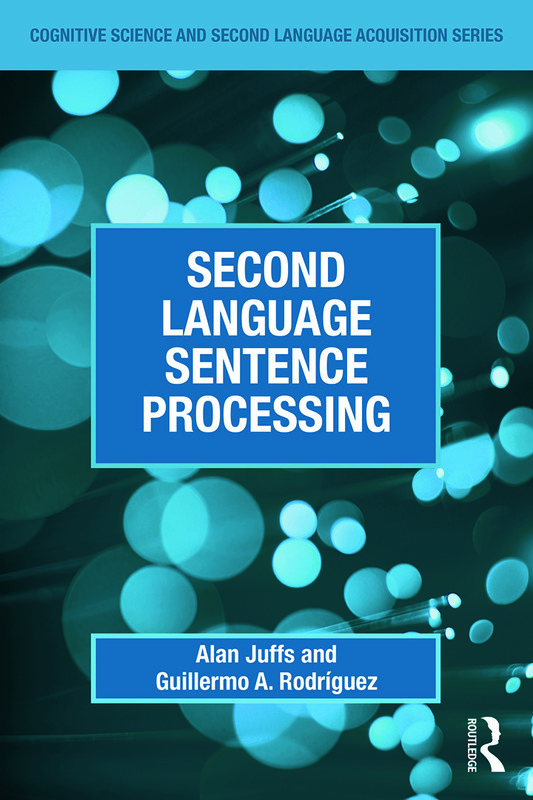 The book begins with a broad overview of the core issues of second language sentence processing research and then narrows its focus by dedicating individual chapters to each of these key areas. While a number of publications have discussed research findings on knowledge of formal syntactic principles as part of theories of second language acquisition, there are fewer resources dedicated to the role of second language sentence processing in this context. This volume will act as the first full-length literature review of the field on the market. Alan Juffs is Associate Professor of Linguistics at the University of Pittsburgh. Guillermo A. Rodríguez is Associate Professor of Spanish at the University of Vermont. The Cognitive Science and Second Language Acquisition Series is designed to provide systematic and accessible coverage of the links between basic concepts and findings in cognitive science and second language acquisition (SLA). Titles in the series summarize issues and research in areas of cognitive science which have relevance to SLA, and when read in combination, provide a comprehensive overview of the conceptual and methodological intersects between these two fields. Books in the series are organized under the subfields of cognitive science (representational, functional, developmental, and differential cognitive psychology), and will cover such topics as speech production, fluency, gestures, lexical processing, sentence processing, connectionism, social cognition, working memory, and more. Research findings and theoretical constructs from cognitive science have become increasingly influential in SLA research in recent years. The Cognitive Science and Second Language Acquisition Series is a valuable reference for scholars who want to increase their knowledge of theoretical and operational definitions in cognitive science, and their applications to SLA. Its titles are ideal for graduate students and researchers in SLA, applied linguistics, cognitive psychology, educational psychology, and language education, and can also serve as textbooks for advanced courses in these fields.